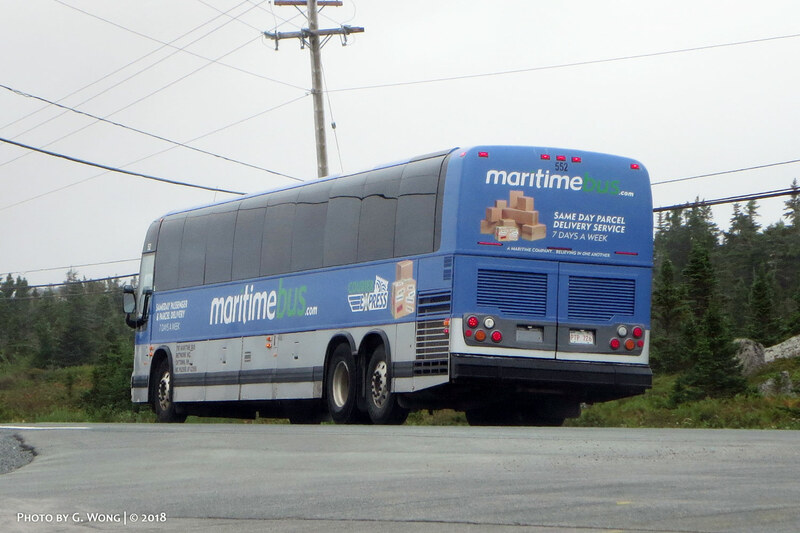 The tenants and management at the Truro Centre plaza must of finally said "get out" to Maritime Bus. As of next month they are moving into the old Acadian Lines station. How a serious accident never occurred at the Esplanade location is beyond me.. just pure luck when it comes to the many close calls that have occurred in the last year. 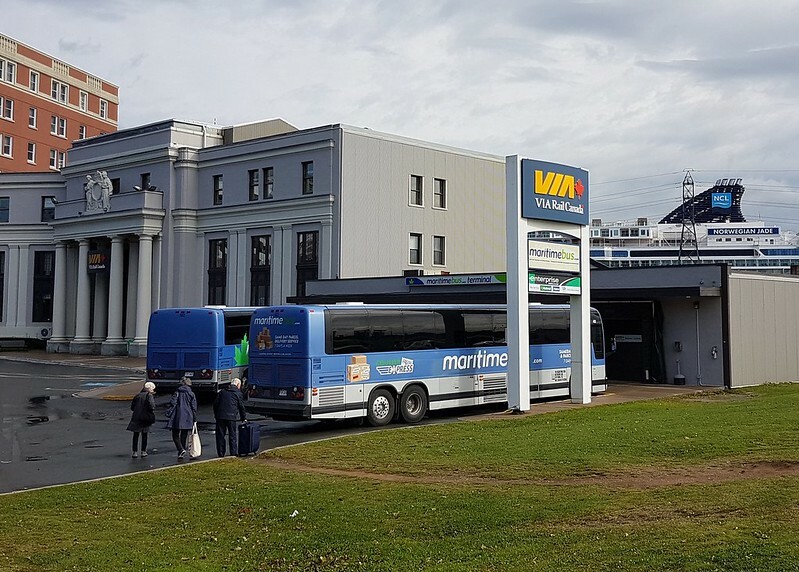 Having a bus terminal in the downtown area: great idea. Having a bus terminal in that specific location: terrible idea. Glad they're out of there and back to the old station. It'll be a better location for sure. I noticed Crombie Properties took out a renovation permit for the old CIBC location in the Wyse Rd plaza and that spot is now being divided in half for use as MB's Dartmouth location. They currently occupy one of the other empty stores in the strip mall. Accessibility is a RIGHT, not a nice to have. the people in the apartment building right behind are getting pissed off with the noise of the buses, I saw & was approached by several people to sign a petition, to ask city council to kick out MB.. I didnt sign it.. For one thing I think its stupid.. also, I honestly have given up completely on fighting for accessibility in the HRM, after an incident I went through during & after, the supposed "accessibility" meeting held September 30.. I wish ANYONE luck in fighting for accessibility in the HRM, aint gonna happen, not now, now in the near future, likely someday in the distant future, it MIGHT, but thats going to be only after people in the HRM & Nova Scotia in general, get their collective heads outta their rear ends, & actually stand up for themselves & FIGHT for the things they need, instead of lying down & allowing themselves to be donkey kicked in the faces constantly, by both the big conglomerates & the few companies that completely rule NS, & have them so scared to actually FIGHT & demand justice & fair treatment.. I cant tell you why I have had to suddenly quit fighting & have had to move, as it has aspects that legally are bound in a ND order from the courts.. I have to warn you all, if you try to speak up, be prepared to be silenced by rich people/companies & their money..
A "ND", oh that can't be good, so they ran you out of town for being an activist??? Surely that can't be right. Must be more to the story no? check your inbox... not able to discuss in public..
Any news on accessible buses for MB? I've not had time since moving back to Ontario to keep an eye on the situation.. I've been hired to do more accessibility work, so have been focusing on that. No accessible buses yet, I don't think Mike ever mentioned a year when he said the buses would arrive in month X. Maybe 2024?? I can't say too much now that the company has agreed to a mediation session with Cdn Human Rights people so that we might resolve this matter before a full blown Tribunal Hearing takes place. I will say that I look forward to fighting the lies and bullying that the company management has used in efforts to stop the process. 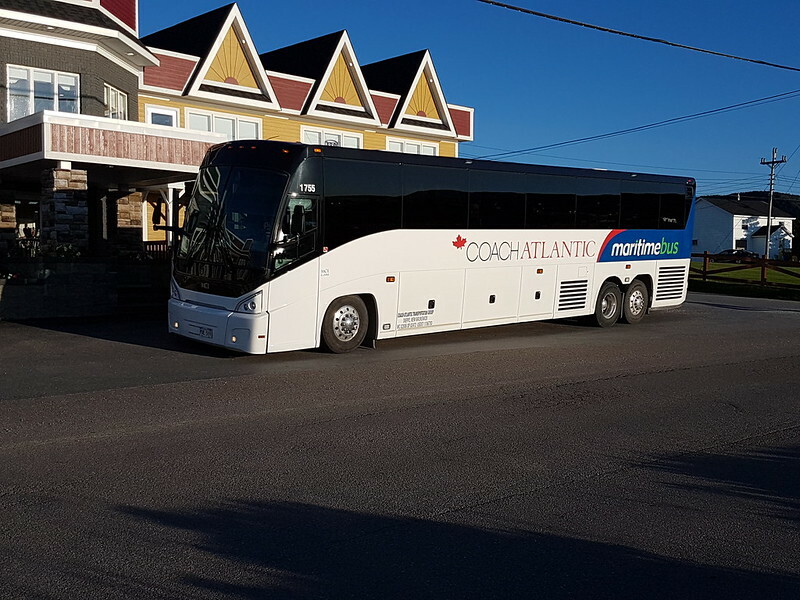 Does anyone know if the bus going from Saint John NB to Riviere-Du-Loup has WIFI?, I guess the bus would be from Fredericton or Salisbury NB to Riviere-Du-Loup since you have to transfer...just wondering if these buses have Wifi though. Depends on what coach gets assigned to the route that particular day. Some have it, some don't. Work assignments away from home had me on Maritime Bus several times over the past couple of months. 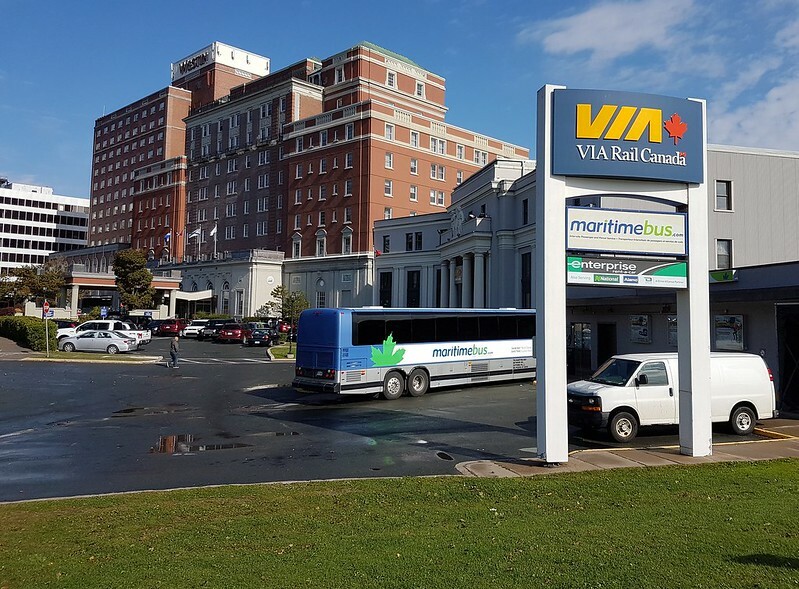 When I weighed the options of driving (and the parking costs) plus the ability to get some work done along the way.....Maritime Bus won out. Service was excellent, clean buses and right on time or very close. I also had a co-worker take the bus on my suggestion....and on a much longer run to Edmundston to meet-up with someone coming home from Ontario to share the drive. Their impression….just fine and they would do it again. 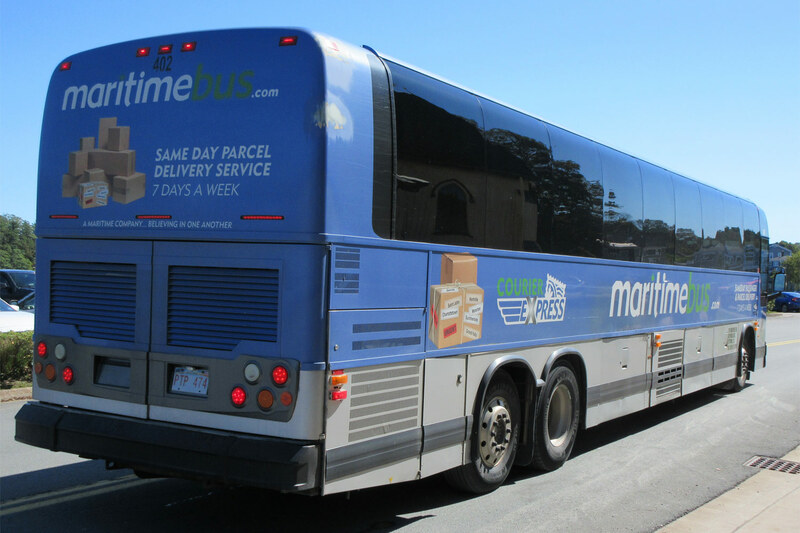 I saw a Maritime Bus on Rene Lesvesque in Montreal Quebec over the weekend, does anyone know why a Maritime Bus would be in a Montreal? Since I thought they would be as far west as New Brunswick? On charter? They dual brand their coaches and usually dispatch whatever is available for runs.